Yes, it is in fact January now. 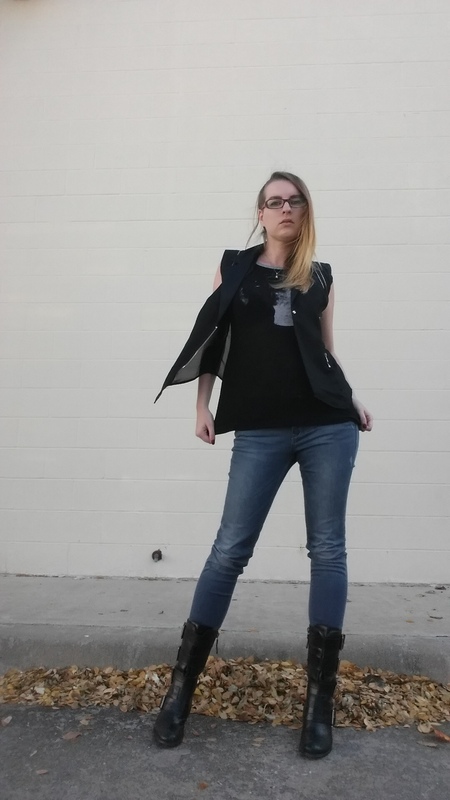 I had intended to do a round up of all of my outfits for Set to Stunning’s Nerdvember, and I didn’t get to it in a timely fashion. I find I still want to ramble on a little about it, so I’m doing a very late round up. If you aren’t familiar, Nerdvember is a nerd fashion festival of sorts created by the blog Set to Stunning. Participants are encouraged to post a nerd influenced outfit shot each day (or as many days as possible) throughout the month, with the hashtag #nerdvember. Before the gaming industry happened to me, I thought my future was in fashion, so I might philosophize about the meaning of clothing just a bit more than the average person. 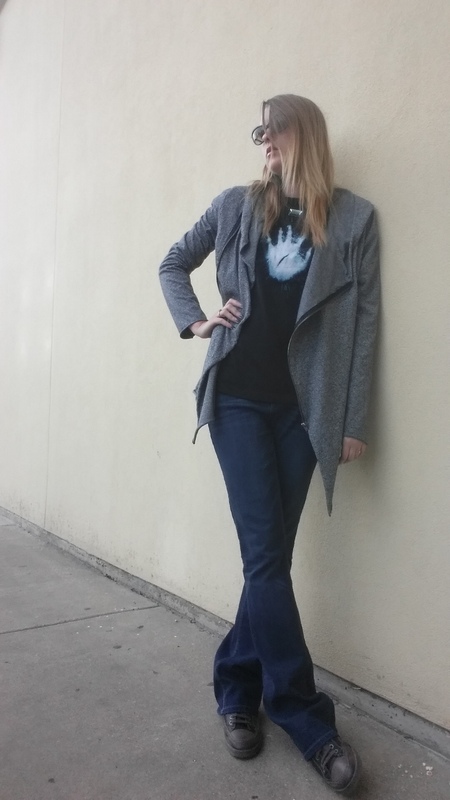 While participating in Nerdvember this year, I got to thinking about how much my wardrobe (and the rest of my life) has been touched by working in this industry, and how my life is reflected in my clothes more or less at various times. My first stab at Nerdvember was on kind of a miserable rainy day. It was the kind of day that kind of takes the piss out of my fashion ambitions. 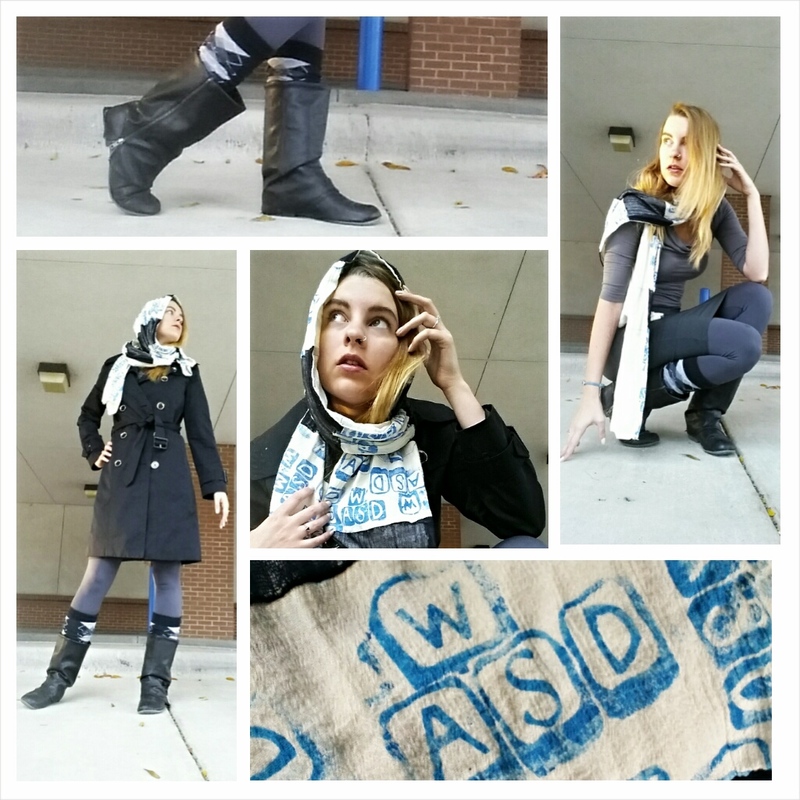 But, I built the outfit around my desire to be comfortable, and my desire to wear my trusty old WASD scarf. I made the scarf for myself in circa 2009, just in time to wear it to LA for the final round of the contest that debateably changed my trajectory. Through that contest, I got my first on going job in the peripheries of the gaming industry. The rest of the outfit, I was kind of thinking at the time that it was maybe a little dystopian space future, but in hind sight I’m not really sure that I hit that mark. The first photo is what I actually posted; the second is one of my first attempts at self-framing the shot, which didn’t make the cut. I do like the drama of the jutting coat in that one though. Random epiphany: The abandoned bank drive-thru is great for photos when it rains. It was raining for the next outfit as well. 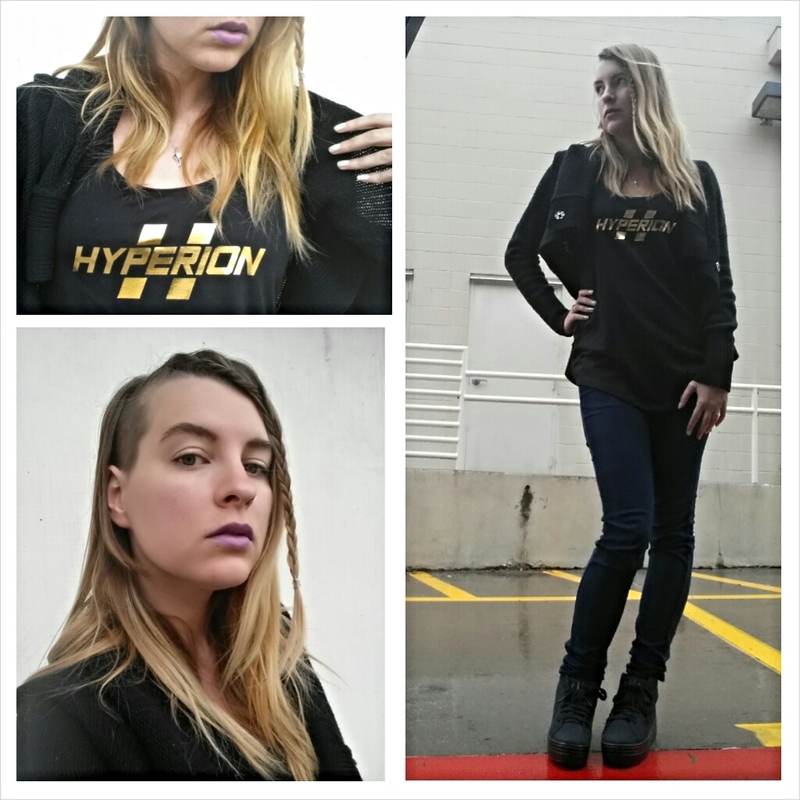 That day the outfit was centered around a new Borderlands “Hyperion” foil tank top. This was the first time I wore the tank; it might have been one of the first public wears of that tank top worldwide, as we’d just added it to the store. 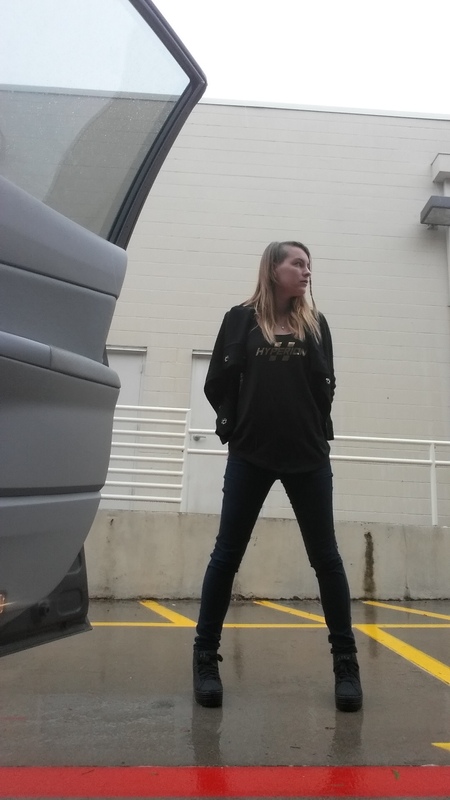 The rest of the outfit is pretty basic, but I enjoy the invisible connections of this outfit to nerddom – the platform shoes I ordered to wear to Pax East, as I wanted a shoe with some style that was still appropriate for 12 hour days running around the show floor. The jeans I bought at the H&M by the Figaroa in LA, because I had packed badly for E3. In other notes, the photo washes it out pretty badly, but I had wanted that lipstick to be the color worn by Lulu in FFX, and the side braid was something I tried because I thought it might look semi-dwarven. Again, the bottom photo is one that didn’t make the cut but reveals something about how I take pictures without actually having friends. 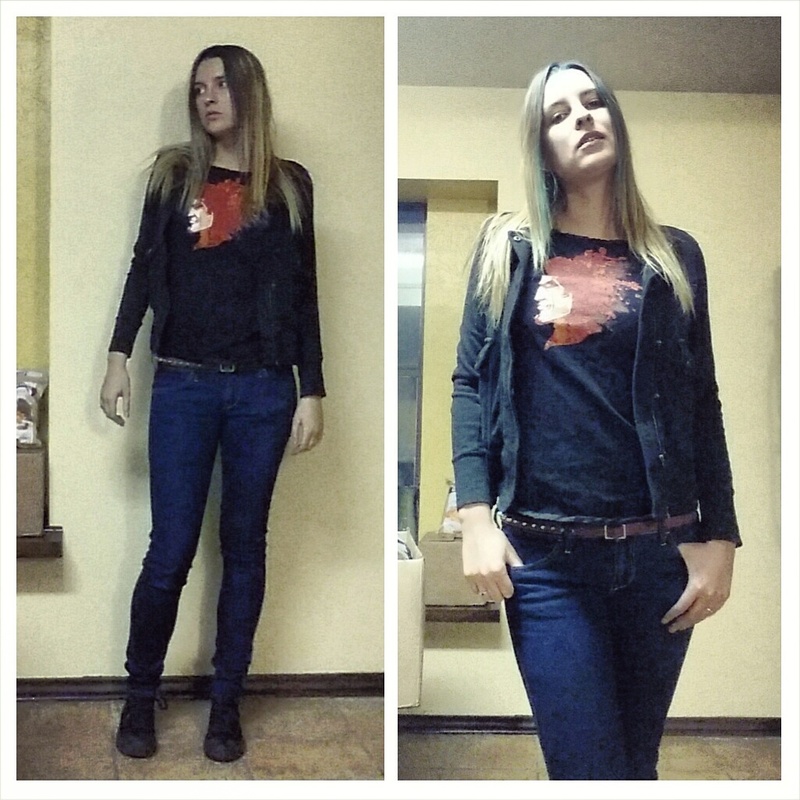 This outfit is really hardly an outfit – its a tee shirt and jeans. I wore it the day we drove to Illinois, and I deliberately choose a lack-of-effort outfit because that’s a 12 hour drive, in a car with three dogs. I didn’t manage to take a photo that could actually pass as an outfit shot, so what I actually posted was the image of that outfit on the floor of my brother-in-law’s guest bedroom. The bottom photo was the photo I took at a gas station that proved I would not be able to pull off an outfit shot. The shirt came from Walmart, and it cost $5. I’ve had it for several years, and its become one of my old standbys for decidedly informal occasions, as I like the way it fits. 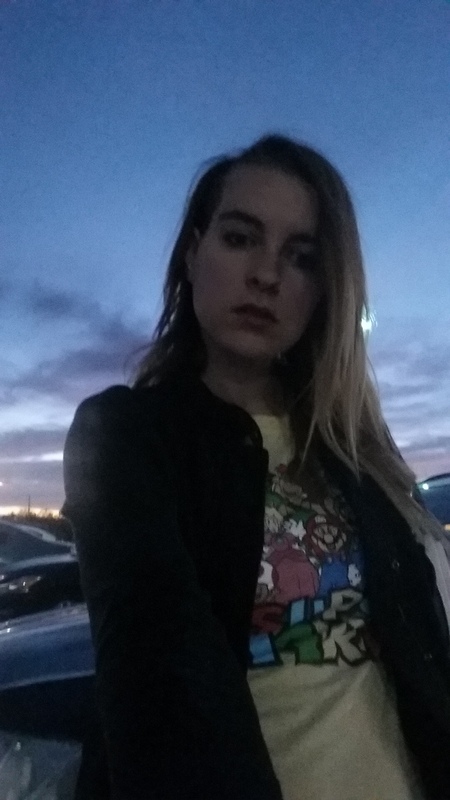 I’ve heard some people make comments about “the girl in the geek shirt but you know she just bought it at Walmart” (not about me specifically, but you know, the proverbial girl..). To those people I extend a big, warm middle finger. 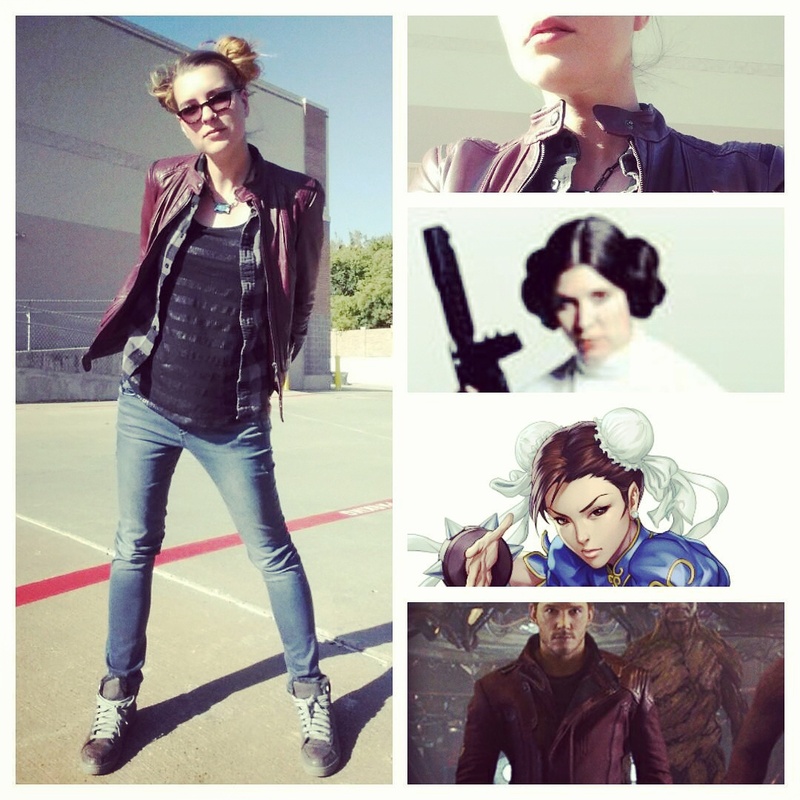 On the day that the sun was finally out when I dressed myself, I used this outfit to make less obvious nods to Princess Leia of Star Wards, Chun Li of Street Fighter, and Star Lord of Guardians of the Galaxy. To spell it out: Chun Li and Leia both have piggy buns (and so do the Spice Girls sometimes) – mine aren’t exactly the hairstyle of either, but inspired by both. 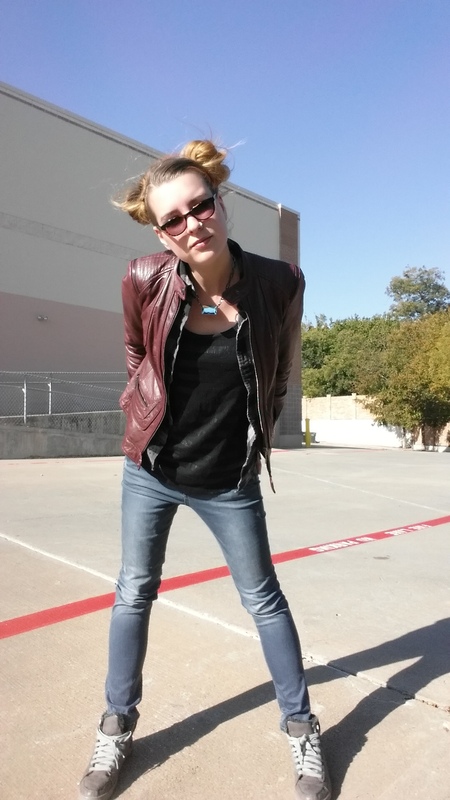 My leather jacket happens to be the color of the one Chris Pratt wear in Guardians. I actually bought it before the movie, and when I wore it pre-movie, no one said anything. But when I wore the same jacket to a tradeshow after the movie was out, people started calling it the “Guardians of the Galaxy jacket”. (I’m pretty sure the character was actually based on me, but they made the character male and claimed it was from a comic book to avoid paying me, which I have to admit was well played.) Another costume detail come full circle: Leia, Chun Li, and my jacket all have Mandarin collars. Top composite was my actual post, bottom is just a bonus shot. 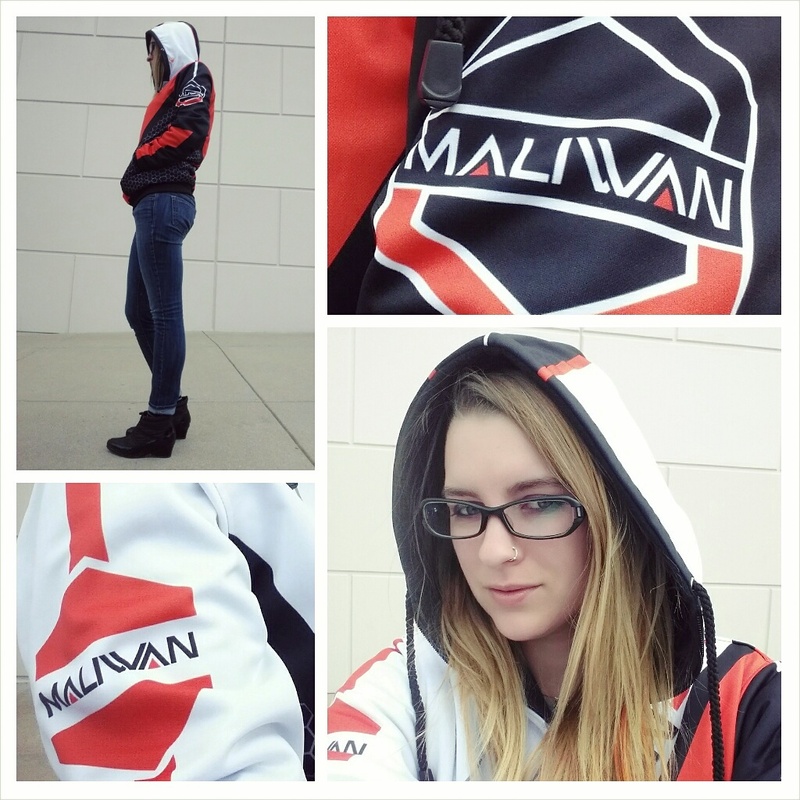 I don’t remember much about this day, but it must have been cold, because only about three Dallas days per year legitimately merit the aggressive warmth of this Borderlands Maliwan jacket. 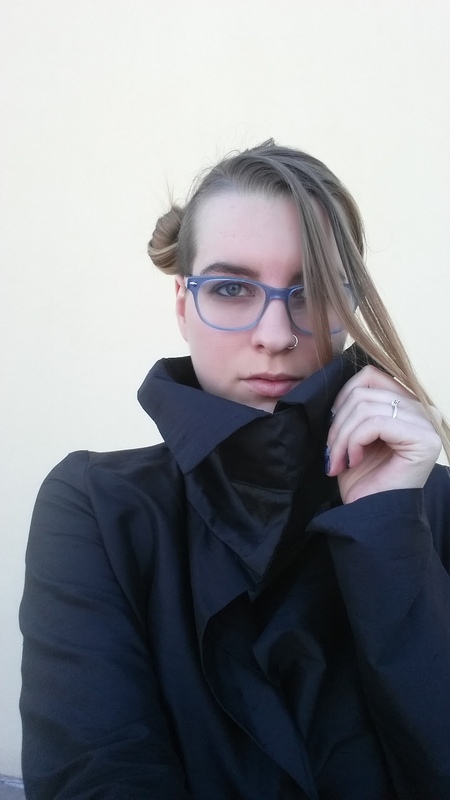 The next iteration of this jacket was recently featured on Kotaku and also Fashionably Geek. Since its already been covered by professional industry journalists twice, I don’t really feel inclined to write much more about it. I never posted this one, because I thought it was borderline not a direct enough reference, and when looking at the photos on my phone, I didn’t think I’d really captured the look of the makeup. Now that I’m seeing them at full res, I think you can see what is going on actually. 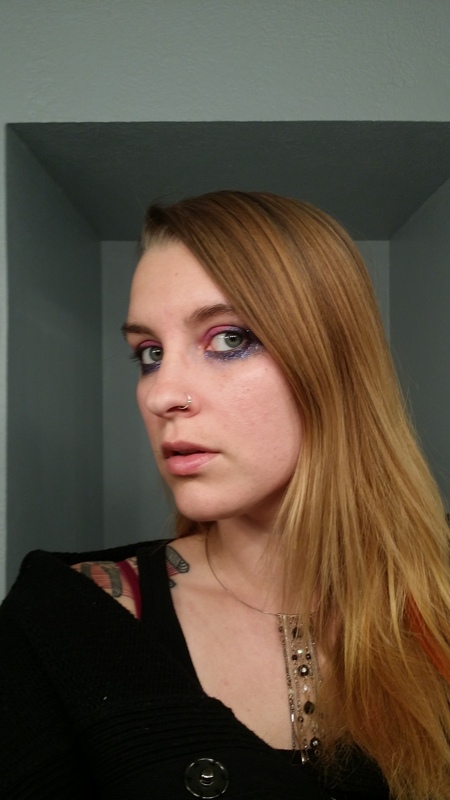 This is makeup from the Espionage Cosmetics Borderlands collection. 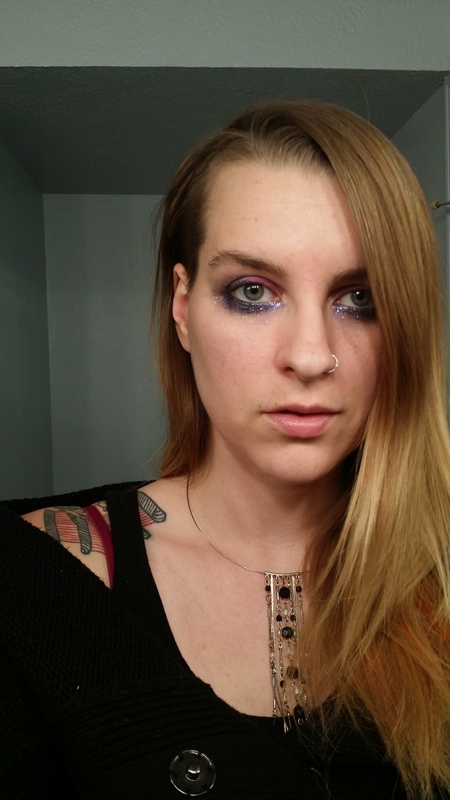 The purple is called Eridium, the glitter is called Phaselock. (I’m just using moisturizer to stick the glitter in place.) I intended for this to be excessively heavy and bold, I think I actually stopped a little short of my goal. This was one of the outfit I was happier with. As the month went by, and I found myself either just doing a makeup nod to Nerdvember, or choosing not to use nerdy branded items in my outfits on a particular day, I realized how not entirely satisfied I am with what is out there in this vein. I even find my own “nerd” wardrobe lack luster. While I do have a high resistance to inconveniencing myself with my clothing, its a particular mood that I’m in when I want to wear just a tee shirt and jeans. Branding and conjuring up a geek accepted IP isn’t always enough flare to make me feel good about what I’ve put on. That’s why this outfit is a win for me. 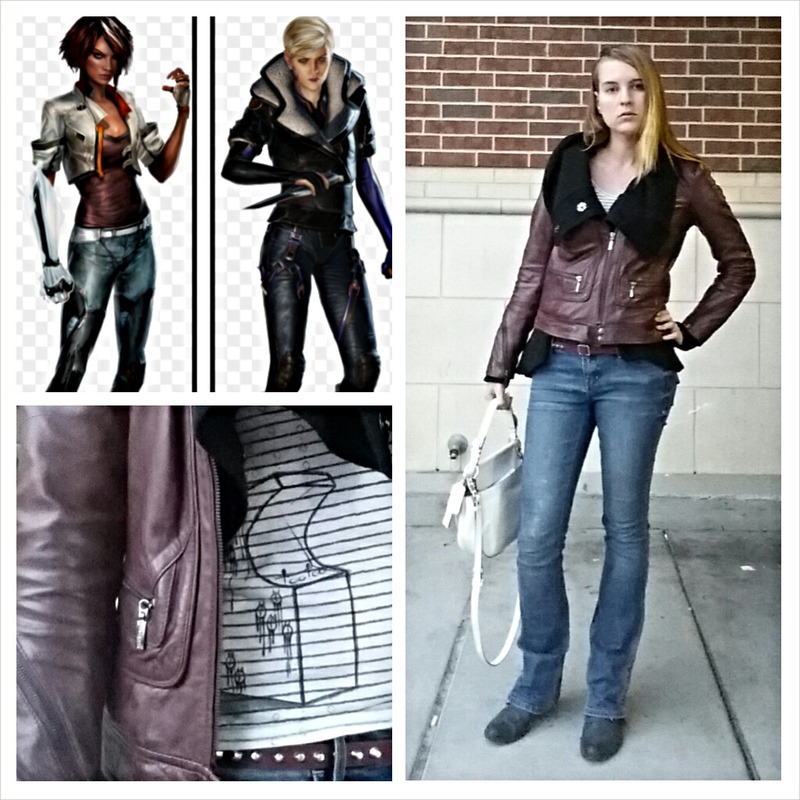 Its inspired by Nihlin and Olga from Remember Me, who happen to have a style that I would wear nearly exactly. Both of them like leather, and a fairly slim silhouette, and sensible boots, as do I. I put a sweater with an oversized draped collar under my favorite burgundy jacket to mimic Olga’s collar. The white shirt beneath it, and the white bag are meant to call to mind the coloring of Nihlin’s jacket. The tank top also happens to have a design of an arcade cabinet on it that I painted as well. Random epiphany: I wish there was more focus on non-branded nerd/geek/tech motifs in clothing, done in an artistic way. Random epiphany: Damn, PC upgrades can be painful. This is an outfit that connects back to the days before I knew I’d be making a living from video games. I made this jacket to ear to my senior fashion show in college. 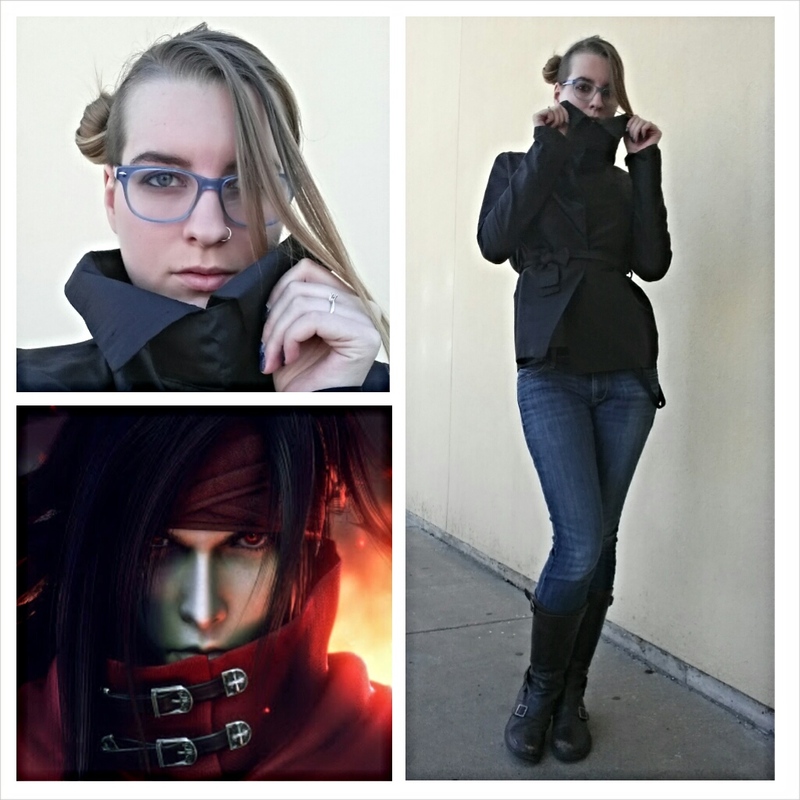 Its inspired by Vincent Valentine of FFVII. 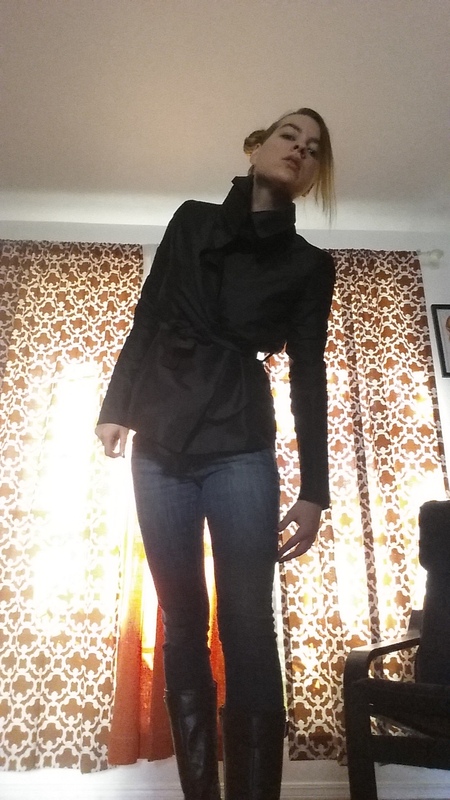 (There was another jacket that I sewed to the same pattern in the show as well; different fabric.) Its silk dupioni, aka my favorite fabric ever. I did not do a buckle detail on the collar, because dupioni is too light to support that. I didn’t want to make a literal copy of the character’s garment; I wanted to make and wear something that reminded me of the character. Top photo is my actual post, below are a bigger version of one detail, and another with a creepy pose that didn’t make the grade. Random epiphany: What I think is missing from the current up surge in geek fashion coverage is video games (or comics, or sci-fi, or whatever) used as a reference for more “core” fashion stylings rather than novelty styles. I’d like to see a video game mentioned as an inspiration for a designer’s line someday.. they cite movies all the time, so why not? Some days laziness wins, even when Nerdvember is on. This is a Shadow of Mordor tee that I accidentally got handed at Pax Prime. The girl was supposed to only give them to people who let her put a wet paint hand print on their faces, but I got handed one as I tried to manage the line to our booth. Its really soft, so I kept it even though its huge. Sometimes I wear it with tights, but on this particular day I just threw some stuff on. The jacket I bought (from the H&M men’s rack) while in Germany for Gamescom. I didn’t know that Cologne would get a freezing five o’clock rain every day, so I was caught without much warm to wear. The shoes I also bought during the Gamescom trip. My canvas sneakers were soaked by the dastardly rain on the first day, and wearing wet shoes or sandals on the show floor are two poor choices. Everything is starting to connect back to places I’ve been for work and video games..
Here’s another not-super-creative outfit. Its an artsy image of Handsome Jack (Borderlands 2) on a shirt that I modified to have a more appropriately sized fit. I also used satin bias binding to finish the edges, which I think it pretty cool, but you can’t see in the picture. Random epiphany: I’d like to believe that I’m a lot less lazy with my style than I actually am, a lot more often. 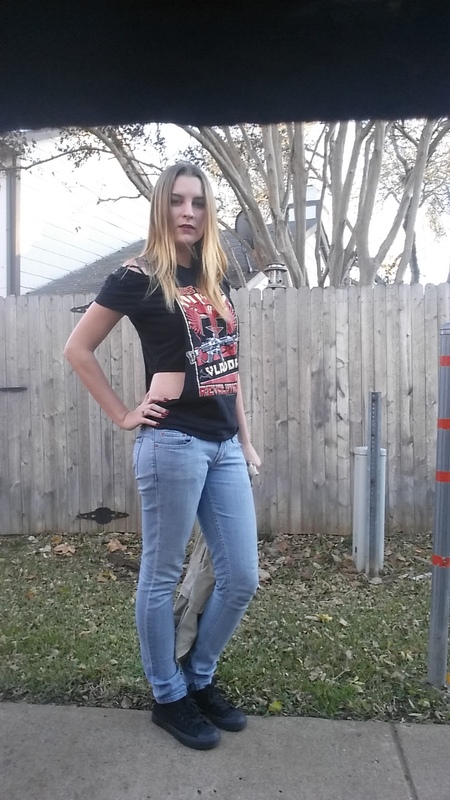 I also do not use t shirts very creatively – part of my limitation there might be that I feel really weird about wearing skirts to work, so jeans become about the only option. In one way, the hesitation is because I’m afraid that wearing a skirt might make me 5% less comfortable than jeans, and I work too hard to make it any harder on myself. But part of it might also be that I work in a male-dominated field and I am afraid that wearing a skirt separates me? Random epiphany: Yeah, when I wear a t shirt, I really just throw on a t shirt. That’s a wardrobe goal for me. 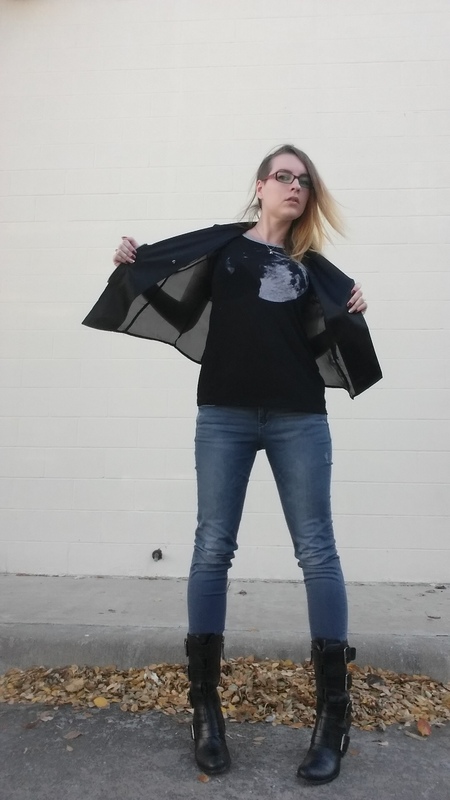 Someone who is less boring with t shirts: The Stylish Geek. 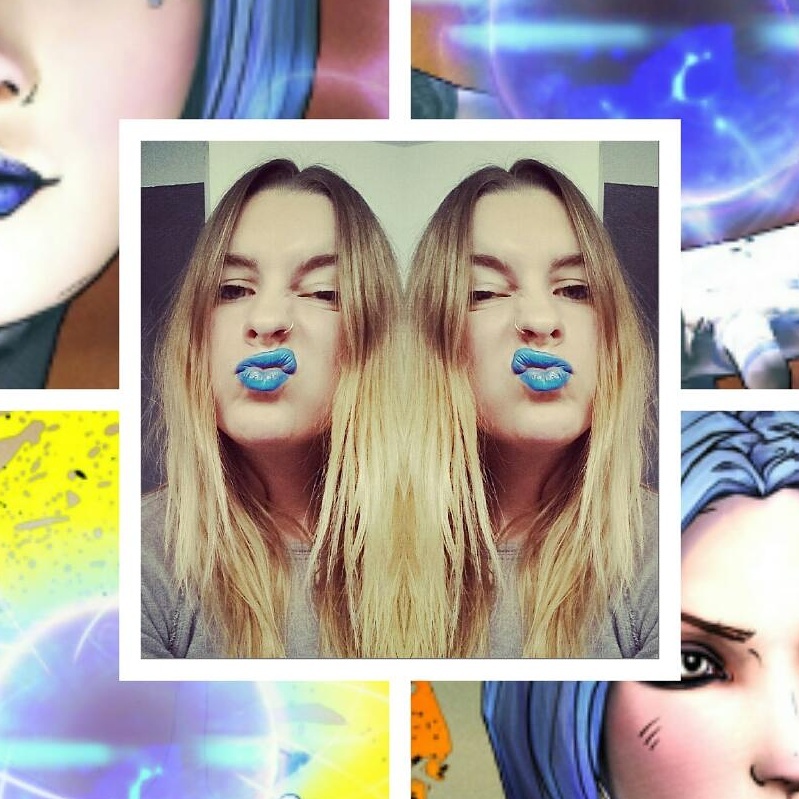 This lipstick mix was meant to mimic the color that Maya from Borderlands 2 wears. 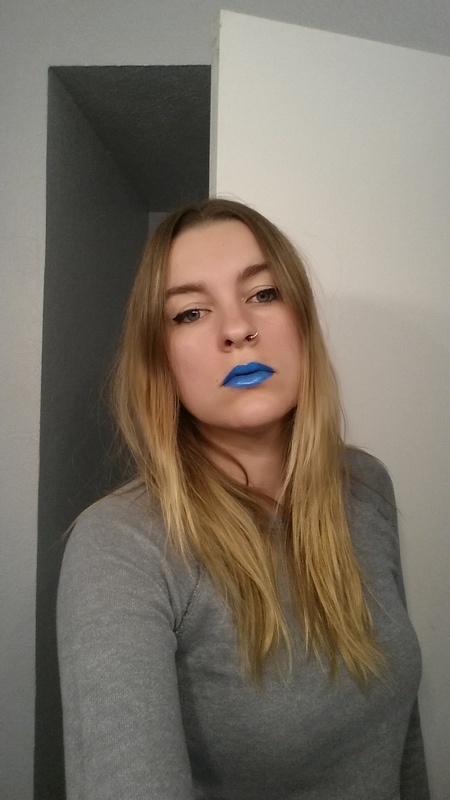 (Its mostly Magnolia cosmetics, which stays on like ink, with a little Lime Crime over the top.) 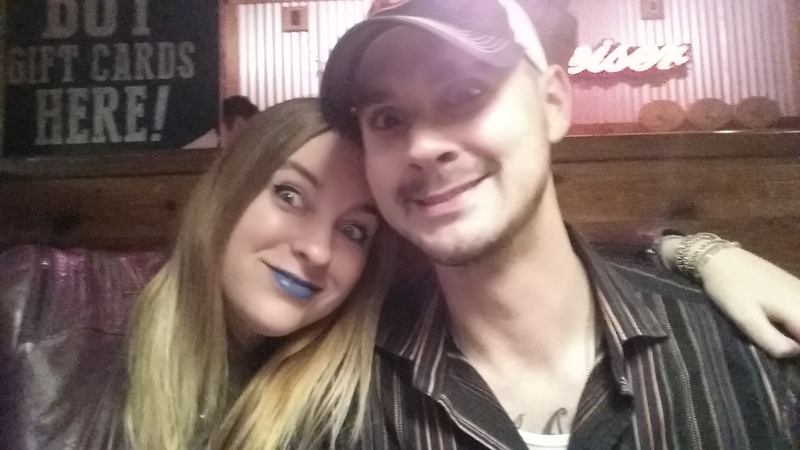 Top photo is the actual post, after that is just one to show how intense it really was, and also that I actually did wear it out, to Texas Roadhouse. Although its a bit washed out in that photo. Random epiphany: The fact that I am just doing makeup instead of a full outfit indicates to me that the nerd array of my wardrobe isn’t entirely satisfactory to me. 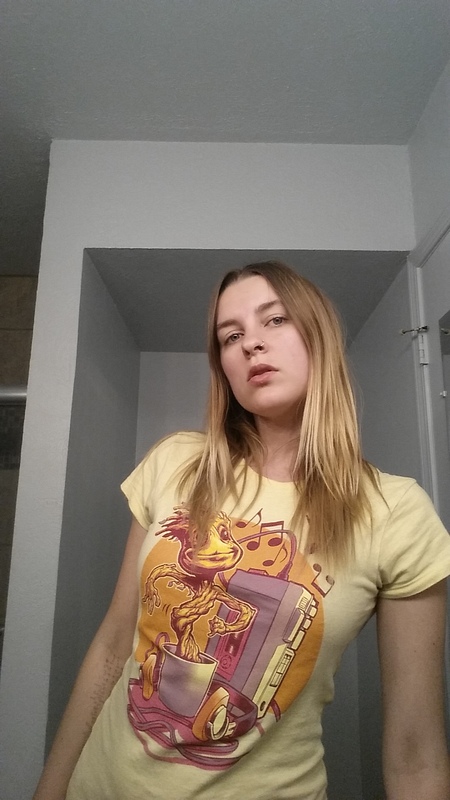 I have too many on-the-nose regular old gaming t shirts that I wear in too many boring ways. 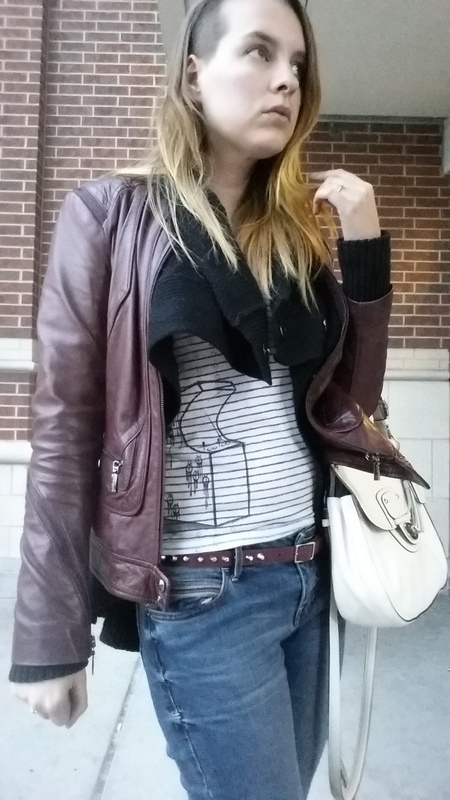 I feel limited by trying to wear only my video game influences, and much of the more “fashion” geek items on the market are too cute/girlie in a young way for my personal style. 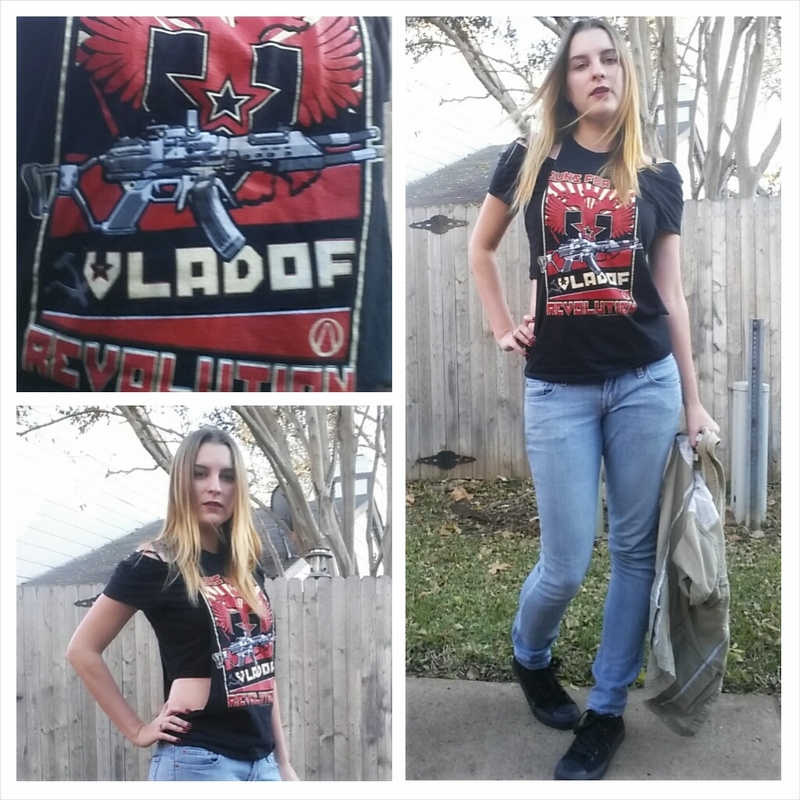 Nothing like a Vladof shirt for walks in the park. 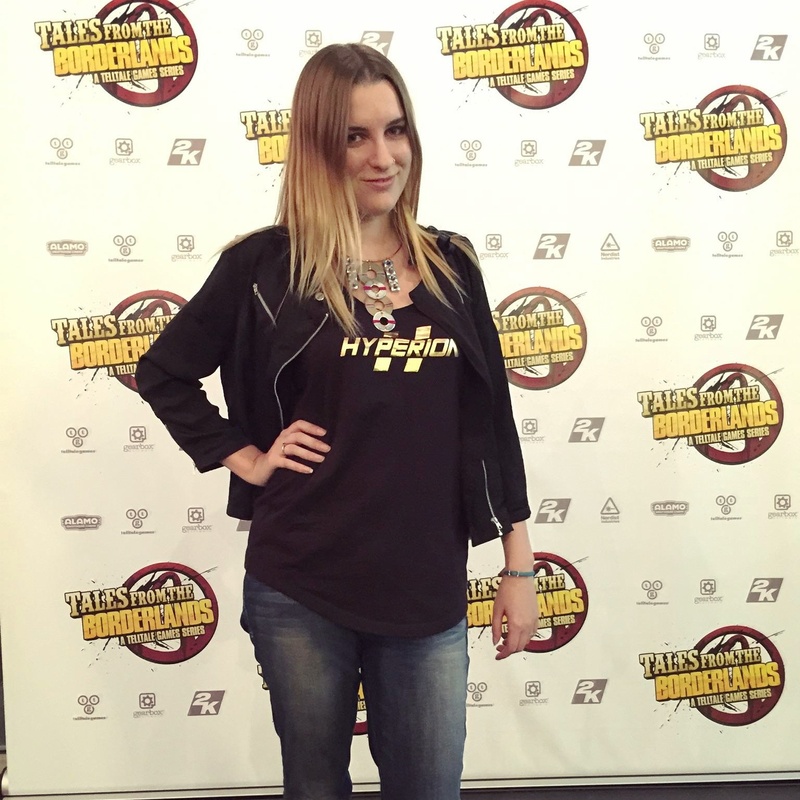 Clearly, this was not a work day – this is the one Borderlands shirt that I’ve modified beyond wearability at work events. The sides are cut out of it from just next to the collar. Here I’m wearing it over an off the shoulder tee. The tee is from Glitch (but I don’t think its available anymore). I really like some of their more artistic/stylized prints, but I can only handle so many guy-cut tee shirts in my life, so it got the scissors. This one is a bit of a deep cut. I wanted to do an outfit based on a character whose style doesn’t necessarily really captivate me, to see if I could use elements from the character and still make something that appeals to me. So I did this, based on Doc from Chrono Cross. 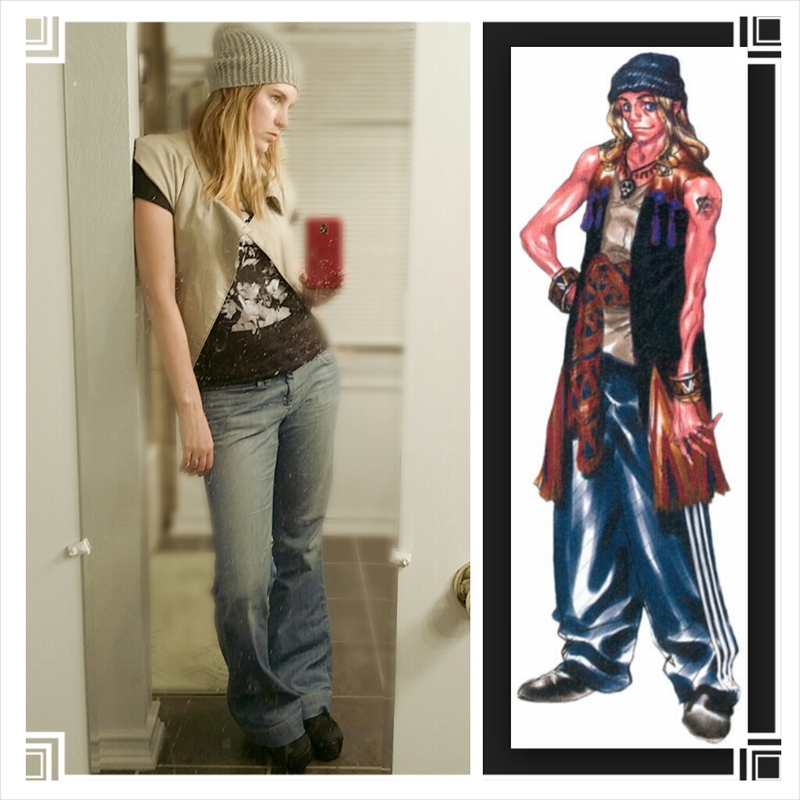 Baggy 90s cut pants, stocking hat, vest.. I basically abandoned his color palate and just mimicked his silhouette. This never got posted, as the only photo I got where the design on the shirt was readable was this one, in which the camera went off earlier than I meant it to. 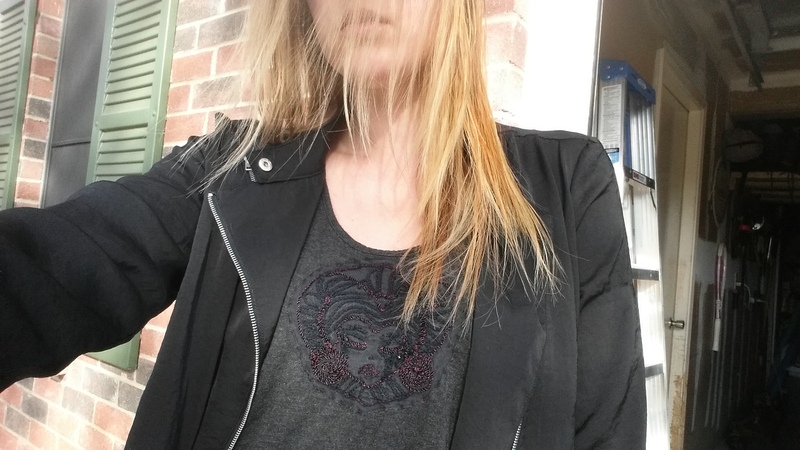 I put the embroidered motif on this shirt just before Pax Prime 2013, which was the only Pax that I have to date attended strictly as a fan. (I have a habit of making things to wear just before travel or events.) Its an image of Harle from Chrono Cross. I like the cut of the shirt, and I really like Harle, but I feel like I didn’t pull this off quite right. The design doesn’t sit quite how I want it, ect. Random epiphany: Sometimes my near irrational desire to have things that are both new and unique before an event leads me to spend a ton of time making something that isn’t quite right. 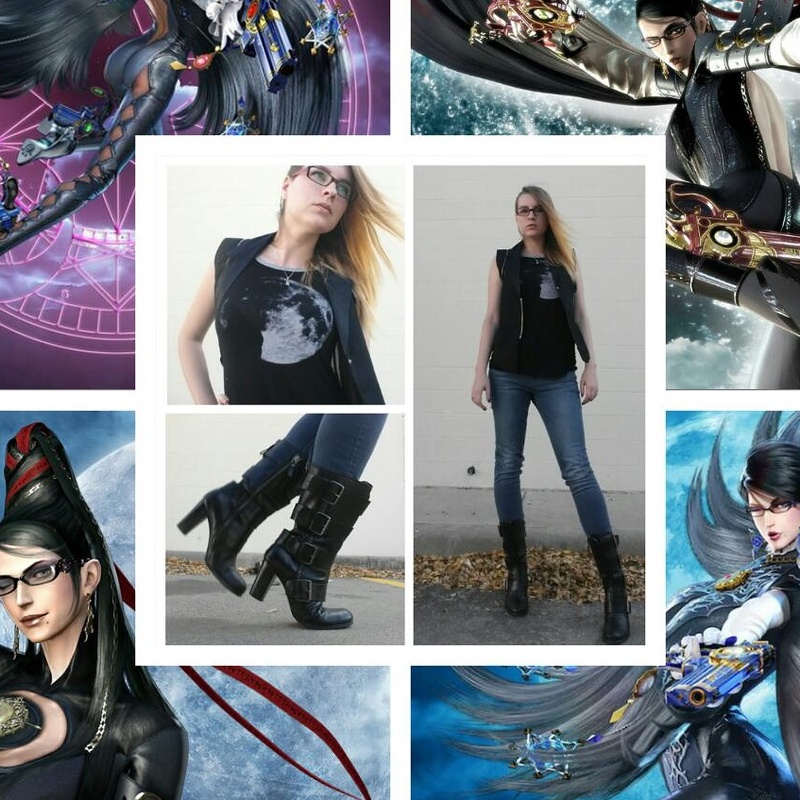 And finally, perhaps my favorite – the Bayonetta inspired outfit. I like this because I like Bayonetta a lot, but also because her style is fairly extreme and not very work appropriate, but its possible to translate it into something that can go to work (at least, it goes at my office). I kept the shape pretty form fitting, because W.W.B.D, but not too tight, because I’m not a cartooned video game character. I kept the palate mostly black, in keeping with her style, but did blue/gray jeans to keep the look from being too extreme. The vest and boots have gothy details that I think Bayonetta would be on board with, and the shirt has an image of the moon, which of course is significant to the game’s lore. I wore my red glasses rather than my black glasses, because I thought it needed just a little color, and also because Jeanne is cool too. I actually would like to do some outfit videos someday, (I’ve actually filmed a few outfits and done nothing with them) and Bayonetta is one character that I could make multiple outfits from. For the meta-level video game life tie-ins here: The boots were part of one of my photoshoot outfits when working for XFX. At the time, knowing how much they cost made me sick, and I still don’t know if I could bring myself to replace them if they died, but they have been one of my most used staples for years now. The jeans are another pair that I bought while at E3 (I had to dress up twice that trip, so I didn’t have room to bring pants.) And the vest I got from my friend Mihaela, who I met, in a really indirect way, through video games I suppose. 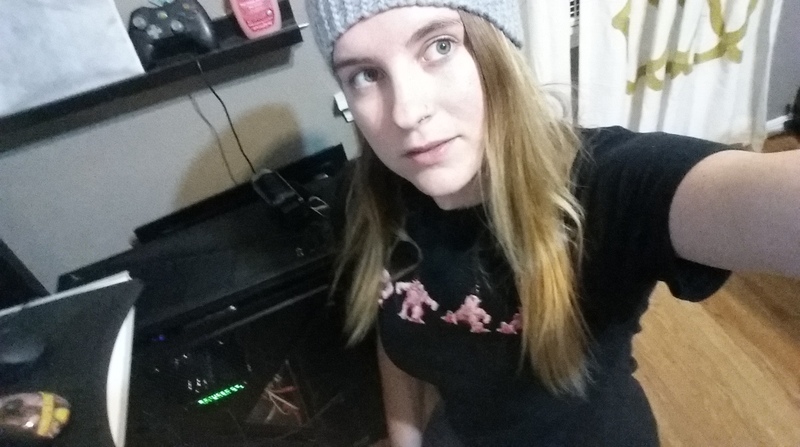 Seeing others participate in Nerdvember has made me realize that my personal style is a lot less cute and feminine, and a lot more hard edged and “serious” than many of the people who do nerd influenced fashion well. I don’t mean that as a dig at others, or a dig at myself, but just as an observation. Most of the Nerdvember outfits I saw that I thought were particularly well done were pretty far outside the confines of my personal style. It also drives home the point that it is pretty rare to find anyone talking about style in conjunction with working in the gaming and/or tech industries. I love Corporette, but its a little too formal for my office culture. 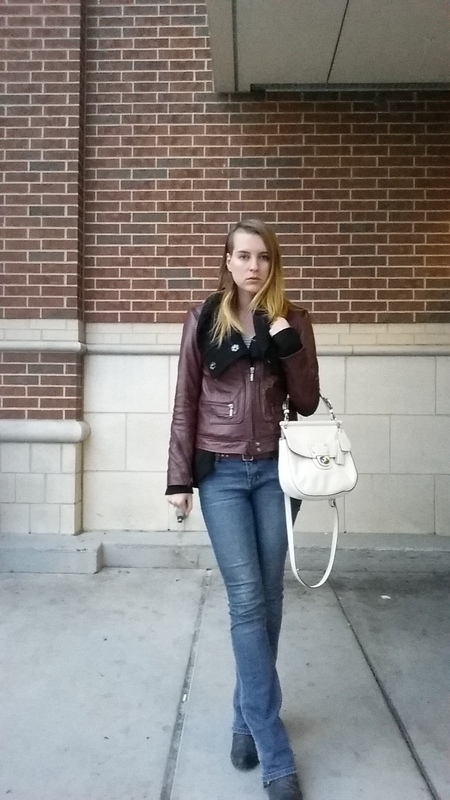 Fashion For Nerds is a personal style blog by a scientist, but she doesn’t seem to be active anymore. 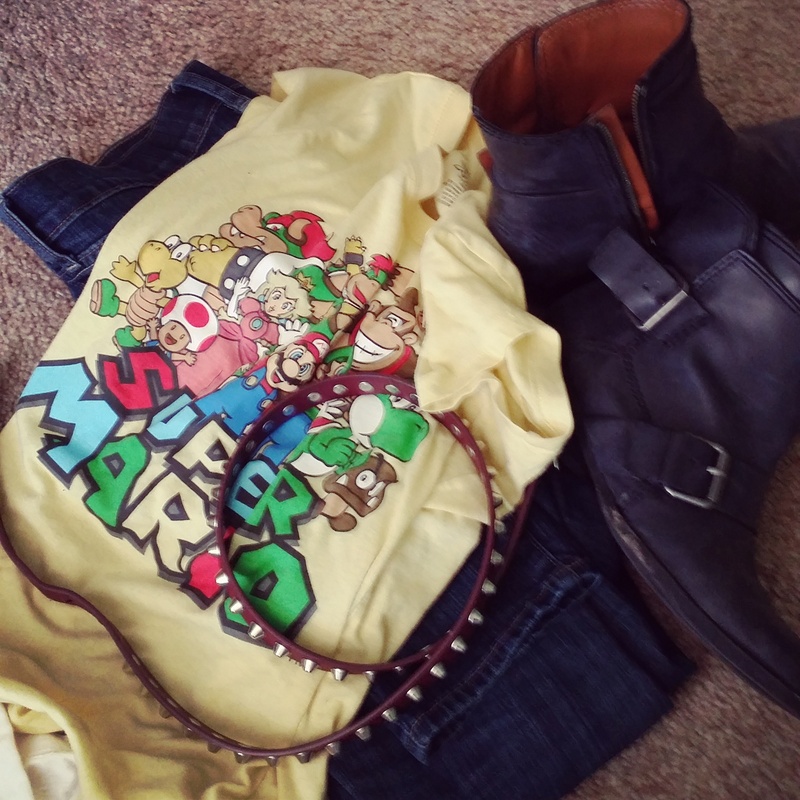 I once saw this post about exactly the topic of dressing when you’re female in the gaming industry, but its the only article I’ve ever seen about it. It was a fun wardrobe challenge. But next year I think I’ll plan ahead more. Thanks! I just checked out your Machu Picchu post, gorgeous pictures. love the double buns! you have such an edgy style – dope!